About Organize Long Island, Inc. :: Organize Long Island Inc.
About Organize Long Island, Inc.
My goal is to assist you in reducing the mental and physical clutter that are preventing you from achieving your goals. My job is to assist you in finding the right solutions for you. Because I fully respect that everyone’s strengths, needs, situations and personalities are different, I take basic organizational skills, strategies and concepts and customize them for each individual. I recognize that each dilemma is unique and requires a unique solution. I develop customized systems and routines that will get and keep things organized. I help you optimize your environment to a level that’s comfortable for you and easily maintainable by you. I work with you in a constructive, compassionate, enthusiastic and non-judgmental manner to help you to define and reach your goals. Through coaching and hands-on organizing, I can help you make your goals and dreams into reality. Alice Price CPO-CD®, COC® is an organizer, coach, author, speaker and president of Organize Long Island, Inc., which she founded in 2002. 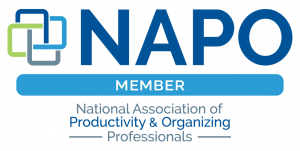 She is a proud member of NAPO (National Association of Productivity and Organizing Professionals) and adheres to the NAPO Code of Ethics. Alice has earned her CPO-CD® (Certified Professional Organizer in Chronic Disorganization) from the ICD (Institute for Challenging Disorganization) and is the only CPO-CD® in Suffolk County. Also from the ICD, Alice has earned her specialist certificate in Hoarding and ADD as well as Chronic Disorganization. Alice contributed two sections to the Institute for Challenging Disorganization’s book, “The ICD Guide to Challenging Disorganization for Professional Organizers“, which was published on January 1, 2012. This is a ground-breaking book in the field of organization. It is the first book to comprehensively examine chronic disorganization in the context of physical and mental health conditions. 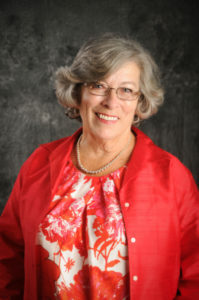 Alice is a graduate of Denslow Brown’s Coach Approach for Organizers coaching program and a Certified Organizer Coach® credentialed by the Institute for Applied Coaching™. In addition to being designed specifically for professional organizers, this program is geared toward training coaches in how to help clients who are challenged by ADD and other brain based conditions. Here’s more information on coaching. Ms. Price has a degree in Computer Science, an Information Systems Project Management Certification from the American Management Association and 20 years’ experience in project management and computer software development. Alice’s project management approach is to take large unwieldy problems and break them down into small doable tasks. When applied to organizational problems, this approach proves to be efficient yet simple and very effective in improving productivity. Her real world experience has honed her problem solving, time management, paper management and space organizing skills. Alice is a public speaker and frequently presents at the Molloy College Institute for Lifelong Learning. She has done workshops and presentations at libraries across Long Island including Babylon, Deer Park, Bay Shore-Brightwaters, Setauket, Patchogue-Medford, Connetquot, Dix Hills, Copiague, Sachem, Westbury, and North Babylon. Alice is available to speak on a number of subjects such as Clutter, Time Management, Downsizing, Paper Management, ADHD, and Hoarding. She is a member of the West Islip Chamber of Commerce.